«Нынешнее сотрудничество по вопросам оборонных технологий и продажам систем противовоздушной обороны С-400 в Индию напоминает нам о днях холодной войны, когда между СССР и Индией имелось тесное сотрудничестве под руководством Никиты Хрущева –одного из главного архитектора партнерства Москвы и Нью-Дели». Об этом Vzglyad.az заявил научный сотрудник Университета Джорджа Мэйсона (США), эксперт Питер Тэйз. По его словам, индийские силы ПВО находятся в процессе модернизации, что, безусловно, усилит сотрудничество с российской военной промышленностью. «В то же время сделка с этим видом оружия спровоцирует попытку Пакистана достичь новых оружейных сделок с КНР и другими поставщиками с Запада. Тесный союз России с Индией будет способствовать более широкому диалогу между Пакистаном и Китаем, а также увеличению геостратегического рычага Дели в регионе. На этом сложном многомерном сценарии Вашингтон тщательно изучает свои двусторонние отношения с Индией. Однако продажи оружия США в странах Южной и Юго-Восточной Азии будут продолжать увеличиваться, если Вашингтон станет лучшим поставщиком ракетных технологий и средств противовоздушной обороны в мире. В то же время Департамент казначейства может оказать давление на индийское правительство, чтобы воздерживаться от покупки оружия из Москвы, зная, что Вашингтон налагает экономические санкции против российского правительства. Сотрудничество между Индией и Россией может иметь положительные результаты в рамках сотрудничества БРИКС, и в ближайшее время будут реализованы новые инициативы с намерением обеспечить более широкое присутствие российских товаров», – отметил Тэйз. 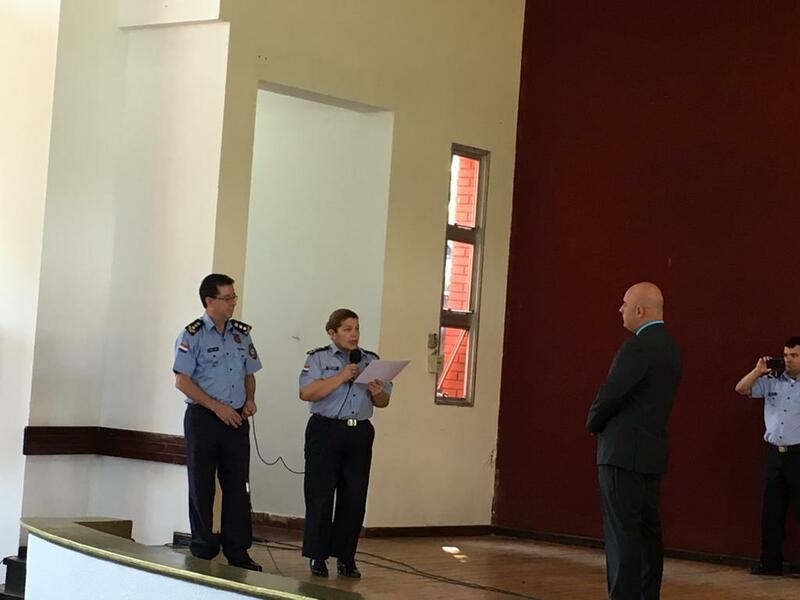 Peter Tase, a former IWP student, recently gave two lec tures at the National Police Academy in Paraguay about the U.S. Intelligence Community. With an audience comprised of deputy police commissioners and principal leaders within the police force, Mr. Tase spoke about the importance of intelligence and counterintelligence in law enforcement and gave an overview of the work of the U.S. Office of the Director of National Intelligence and the National Security Council. Both events, which took place on September 12 and October 1, were attended by nearly 60 police leaders. At a time when law enforcement officials are called upon to act as a front-line defense against terrorism, organized crime, and gang activities, intelligence collection and analysis grows more crucial by the day. Within law enforcement agencies, the broader purposes of intelligence can be categorized into two sectors: prevention and planning/resource allocation. Law enforcement uses intelligence to apprehend criminals and stop crimes before they happen, to determine how to best utilize department resources to develop response strategies, and to evaluate the evolving nature of threats. 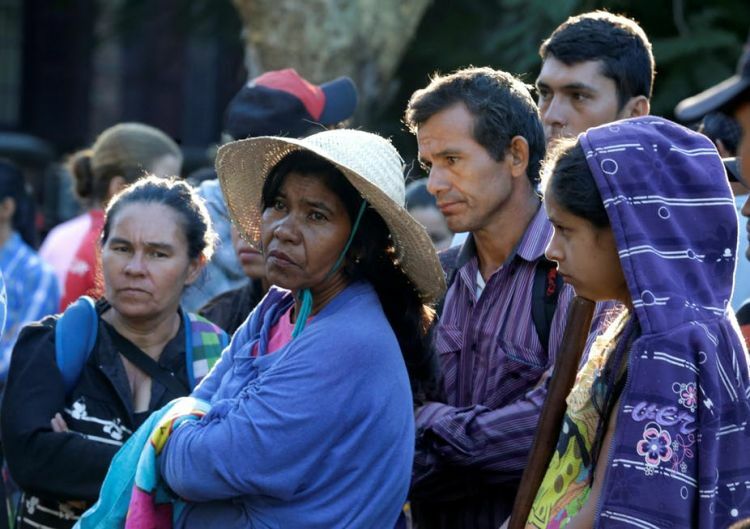 Despite being comprised of dozens of directorates, armed units, technical support staff, and training institutes, Paraguay has no intelligence or counterintelligence departments within the National Police Force committed to the issue outlined above. Currently, its intelligence department focuses solely on political related analysis. With a population size comparable to the city of Hong Kong, this could leave the country in danger when looking at the broader geopolitical landscape. INTERVISTA E PLOTE E PETER TASE PER REPUBLIKEN E KOSOVES E DHENE NE RADION NACIONALE “DIA DE HOI” TE PARAGUAIT. On 8th of September, 2018 Tehran summit on the Syrian issue was held in the capital of Iran, Tehran. 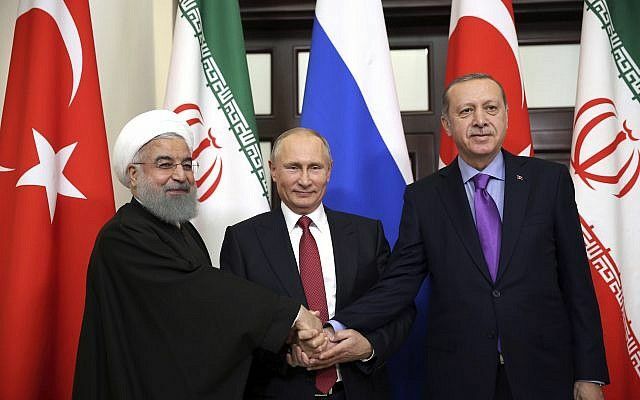 Iran’s President Hassan Rouhani hosted his Russian and Turkish counterparts – Vladimir Putin and Recep Tayyip Erdogan – amid growing international warnings over a looming humanitarian catastrophe in Idlib, a province hosting more than three million people, half of whom are internally displaced. To remind, Iran and Russia are major allies of Syrian President Bashar al-Assad, while Turkey backs certain rebel groups, including some in Idlib, who are seeking his removal. Eurasia Diary tried to clarify the real expectations within this summit held in Tehran, thus 2 famous political experts in the face of Peter Tase and Paul Goble shared with Eurasia Diary their vision about the current situation in Idlib and Tehran Summit. Peter Tase, American journalist, expert on political and international relations at the University of Chicago, shared his thoughts linked to the purposes of a summit held in Tehran and touched upon Nagorno -Karabakh dispute between Azerbaijan- Armenia. Since the establishment of its independence in October 1991, the Republic of Azerbaijan has rushed forward embracing the democratic values of the European Union and uniquely emerged as a stable, developing and secular Muslim-majority nation when Heydar Aliyev became its first President in 1993. Over the years, Baku has harnessed a close cooperation with the United States and the North Atlantic Treaty Organization, especially in the fields of security, war against terrorism, and strengthening its democratic institutions. It must be emphasized that Azerbaijan’s Armed Forces have served alongside with U. S. and NATO Forces for many years; their unwavering commitment has significantly delivered concrete results within the International Security Assistance Force operations in Afghanistan. Furthermore, Azerbaijan is characterized for being the only Muslim country serving together with western allies and has become an important logistics hub for NATO troops as their supplies make their way to Afghanistan and Iraq. Currently the Azerbaijani Armed Forces remain active despite of the overall troop drawdown. While the Republic of Azerbaijan has genuinely contributed with troops and resources in the war against terrorism and organized crime, the European Union Global Strategy and Washington on the other hand have failed to properly address, incur a concrete progress and actively engage in the negotiations table intended to solve the ongoing war of Nagorno – Karabakh, were the Armenian Armed Forces continue to occupy over twenty percent of Azerbaijani sovereign territory and inflict pain, destruction and violence among Azerbaijani civilians and environment. European Union’s goal in “implementing a multi-dimensional approach through the use of all available policies and instruments aimed at conflict prevention, management” has proved to be irrelevant, and Brussels has kept a prolonged silence when it comes to solving the Nagorno-Karabakh protracted war and ensure Azerbaijan’s full territorial sovereignty and hold Armenia accountable. Moreover the ongoing conflicts in Afghanistan, Mali, Somalia and Syria, demonstrate EU’s and NATO’s diminished role towards becoming major players to solve and invest more resources in the de-escalation of the ongoing conflicts in the outskirts of Europe, Africa and the Mediterranean. At a time when the EU and NATO continue to keep a blind eye towards the flagrant crimes against humanity committed by Yerevan’s Fascist Government inside the sovereign territory of Azerbaijan; the latter sent in 2017 a group of 70 Azerbaijani military troops to Afghanistan to serve with the NATO led Resolute Support Mission in Afghanistan, to provide a vital support in the stability and security of this country. Azerbaijan is of great importance for France as an indispensible ally, Peter Tase, US expert on Global Politics and Transatlantic Relations, an adviser to Global Engineering Deans Council and other prestigious International Institutions told Trend July 23. He was commenting on the results of the recent visit of Azerbaijan’s President Ilham Aliyev to Paris. “It is strategically important for the French government and French companies to have Azerbaijan as a principal trade partner, and as an indispensable ally in the fields of multilateral diplomacy, economic cooperation and cultural diplomacy,” he said. Tase added that President Aliyev’s visit to France has brought even closer the economic, commercial, political and cultural cooperation between both countries. “During the visit, Azerbaijan’s president met with Airbus Vice-President for Eurasia Silvere Delaunay. A greater cooperation between Airbus and Azercosmos OJSC would generate remarkable results for the benefit of both governments. Currently Azersky and Spot 6 satellites have made a great impact in the international markets and the image of Azerbaijan has risen significantly abroad, thanks to such an attractive project, swiftly implemented under the leadership of President Ilham Aliyev,” he said. Tase noted that strengthening bilateral cooperation with Airbus will enable Azerbaijan to become one of the world’s leading nations focused in defending Information technology networks from cyber-attacks. He believes that the signing of major trade agreements with French companies will bring new developments in Azerbaijan and improve the living standards of the Azerbaijani people. Azerbaijan has emerged as a key economic partner of France, he said, adding that bilateral cooperation in science, cultural diplomacy, commerce and trade has reached record levels. Tase noted that the embassy of Azerbaijan in Paris has done an impeccable job in strengthening the Azerbaijan-France cooperation and dialogue. Peter Tase, American journalist, expert on political and international relations at the University of Chicago, shared his thoughts on possible deterioration of relations between Azerbaijan and USA. He mentioned that bilateral relations between Azerbaijan and Russia are steady, economic cooperation is stagnant, cultural exchange is on the rise (despite of a great interest demonstrated by young Azerbaijani citizens towards western culture), as well as commercial cooperation is in a good stage. “Political dialogue between Moscow and Baku is intensified; however results have been missing over the last two decades. Observing the Foreign Policy and National Defense Strategy of Azerbaijan, there is a strategic cooperation (that has delivered concrete results) between the Government of Azerbaijani President Ilham Aliyev and the Governments of United States and Israel. Furthermore it is essential to note that Azerbaijan’s Foreign Policy is pragmatic, matured and defends the national interests and territorial sovereignty of Azerbaijan. 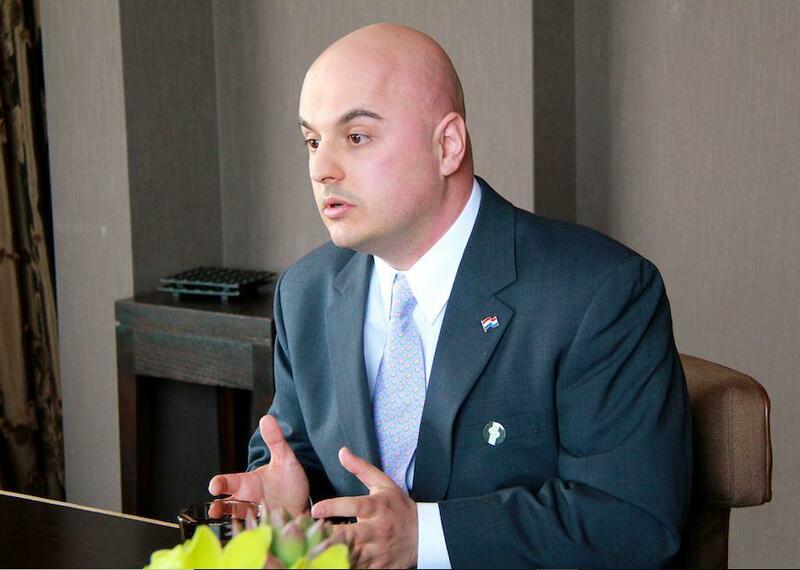 The dialogue and cooperation of the Ministry of Foreign Affairs of Azerbaijan with the US State Department is highly productive and beneficial to the people of Azerbaijan, the results of this strategic partnership will be observed very soon, a significant part of this partnership is hidden from the public’s eye. 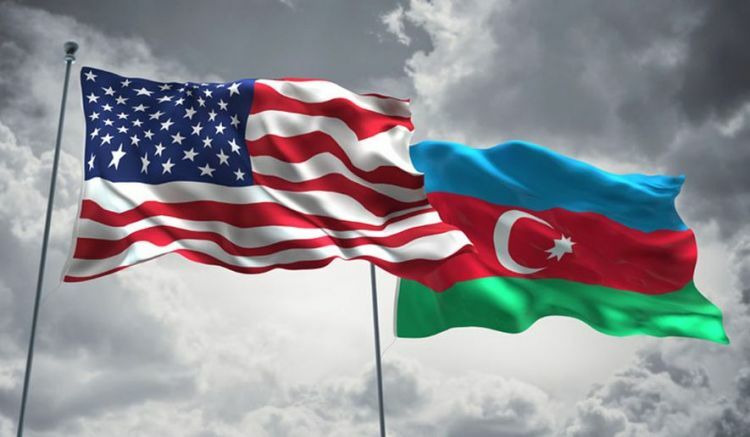 According to various reliable public sources Azerbaijan has acquired a special, preferential place in the heart of US Foreign Policy, its Banking sector is assisting the US Department of Treasury and bilateral partnership is at its best moment,” political analyst said. On the question how this batch of sanctions against Russia will affect Russian economy, Peter Tase replied in such way: “There are careful measures taken against the Russian economy throughout the neighboring countries of Russia; there is no doubt that US economic sanctions against Russia will have immediate consequences on its financial affairs, increase poverty and reduce wealth among its oligarchs. History has shown that Azerbaijan, headed by National Leader Heydar Aliyev, has harnessed democratic values that are still missing among many European Union member countries”. Demonstrative of what is widely understood as a pressing need for rapprochement between the U.S. and Turkey, last week, U.S. Secretary of State Rex W. Tillerson was welcomed in Ankara by Turkish President Recep Tayyip Erdoan and Foreign Affairs Minister Mevlt avuoglu. A day prior, U. S. Defense Secretary James N. Mattis had a lengthy meeting in Brussels with Defense Minister Nurettin Canikli, on the sidelines of the NATO Defense Ministers Conference. Perhaps not as proactive as circumstances may demand, however, the interaction amongst top-level U.S. and Turkish officials is, nevertheless, testimony to the indispensable strategic partnership that has existed for more than 60 years between Washington and Ankara. The currently prioritized face-to-face dialogue is concrete recognition of the strategic importance that Ankara continues to garner. The United States’s bilateral alliance with Turkey has proven to be critical in the realm of the multifaceted strategic cooperation in defense that necessarily exists in the region and in terms of the Middle East security matrix, addressing the war against ISIS, Syria’s complex security challenges and cooperation in multilateral organizations such as NATO, G20 and other platforms. The United States should reverse its policy of co-operation with the Kurdish militant People’s Protection Units (YPG) in Syria and invest in its relationship with Turkey in order to be able to counteract future Russian or Iranian influence in the region, Peter Tase, a research fellow at the Washington DC-based Council on Hemispheric Affairs, wrote .